Over the past several weeks, I have been working on a number of projects. A part of almost everyone of these has included the identification, review and recommendation of select resources for teachers to use in the classroom or for trainers to share with teachers. I have to admit, I love exploring for resources and I truly get lost in the process. I strive to locate the best quality resources and research that will help teachers. A significant aspect of this that keeps me looking is the realization some time ago that what worked for me wouldn’t always work for other teachers. An incredible technology coach and teacher, Davina Mann, was one of the first to really call me on this. Most of my teaching assignments were in the middle and high school grades. We I began work with the Alabama Learning Exchange (ALEX), my responsibilities expanded. I had to let go of my preconceptions about how a classroom worked and what would work in a classroom. I always felt like I was doing pretty well until one day I spouted off about how this app or that app could easily be adapted to the lower grades. I really hadn’t given it serious thought, just in my mind I could see several ways to use it in my classroom. I remember glancing over at Davina and she had this look that basically said, “You are full of it!” She never said it, but I remember stumbling through the rest of that sentence and slinking away. Could it really be used with younger kids? Could I have done it? I honestly didn’t know. It was then that I really started looking for ways to fairly and honestly look at every piece of software, every app and every web resource that I would recommend seeking to find all of the good and all of the bad, but doing so from multiple points of view. That is when I began curating, rather than collecting, resources. I began scouring the web looking for evaluation tools. I was even part of a team, along with Davina Mann coincidentally, that developed an app evaluation tool for the ALEX iPad Professional Development course. I found blog posts from Tony Vincent. I found tools from Kathy Schrock. But it seemed that everyone of us were missing something. Most recently, I have fallen in pedagogical love with Liz Kolb’s Triple E Framework. I’ll be sharing even more about my thoughts and upcoming uses of Triple E in future posts, but having a way to evaluate these resources is half of the battle- putting high quality resources into organized collections around various curricular topics is the penultimate goal of any self respecting Ed Tech Specialist. There are a variety of ways to collect these resources. Over the years, I have effectively used LiveBinders, Diigo, Google Bookmarks and a dozen other tools to collect resources. They all work and each have a place in your Tech Coach Toolbelt. When looking for a tool to place curated resources in front of students so that they can quickly and easily get to where you want them to be, nothing may be better than Symbaloo. 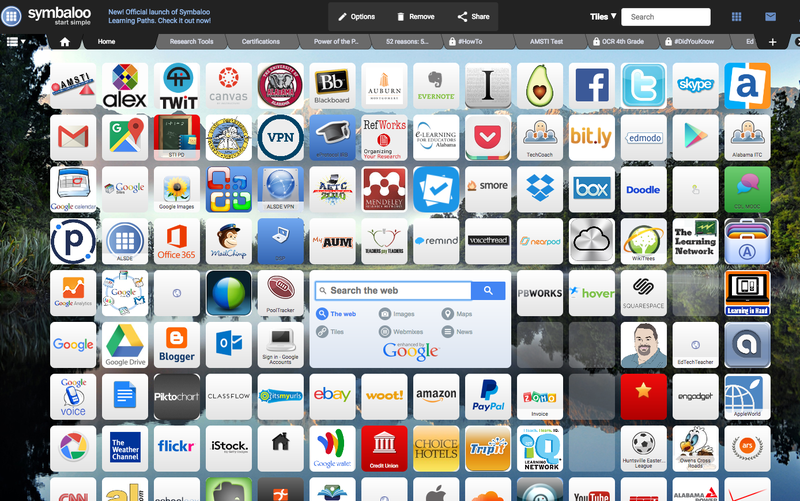 The visual nature of the Symbaloo webmix, carefully curated by a teacher results in a huge time saving as 25-30 elementary kids will be able to get to just the resource you want them to visit by simply clicking or tapping in a particular icon. However, my go to tool for curation resources for teachers is still Participate Collections. With thousands of resources already in the database, finding quality resources and quickly organizing them into collections could not be easier. But it doesn’t stop there because any resource that has a unique URL can be added to a collection. That means that you can have a collection that features six weblinks, four YouTube videos, three Android or iPhone apps, a Padlet board, a Thinglink interactive picture, a Google doc, and a self paced Kahoot! all side by side in a single collection. A recent update to the collection tool provides a beautiful card style layout to your collections, making it even easier to navigate and quickly find the particular resource you are looking for. Multiple users can still collaborate on the same collection, providing ample opportunities for team curation. Once your collection is complete, you can share it easily. Wait, that doesn’t make any sense, because your collection will never be complete. But that is no problem. Participate collections can always be edited, adding new resources or removing obsolete ones. If you haven’t done so lately, head over to www.participate.com and take a look at the new collections tool. The, do yourself, and me, a favor and curate a new collection of quality resources. Be sure to share it on Twitter! What the New York Times doesn’t get about Teachers Promoting Tech. There has been a lot of discussion on Twitter and across the web about the recent @nytimes article “Silicon Valley Courts Brand-Name Teachers, Raising Ethics Issues” and I have been mulling over the article as well as the incredible #edtechchat on the topic (see the transcript of the chat on @participate) for a couple of days. After careful reflection, I am ready to share the following thoughts of the issue and specifically what I think the article missed. One of my greatest concerns about the article is the revelation by several leaders in the EdTech community, as shared in the #edtechchat, that the reporters behind the article may have purposefully misled potential interviewees as to the purpose of the article. I encourage you to review the transcript of the chat so that you hear their words (they even posted the original message from the NYT reporters which mentioned nothing about an expose of teacher ambassadors as an ethics issue.) It is disheartening, with all of the other challenges facing educators, that a respected news outlet would seek to discredit teachers that go above and beyond for their profession. There are several terms utilized by EdTech companies to describe the cadres of teachers and educators that are utilized to spread the word about products and services. These terms include ambassadors, certified teachers, “experts”, and a variety of brand-specific terms that describe these teachers. For simplicity, I will use the term ambassador. But even with that clarification, there is discussion that needs to take place. I am a Google Certified Educator and Trainer. For each level of this certification, I completed online courses, additional self-study and passed one or more exams to display my knowledge. There are other companies for which I “earned” the title by completing on online form. If you follow me on Twitter, you would quickly see that I have several of these certifications. I do, in fact, seek these out because in my current position, it is my job to identify, research, master and share the latest educational technologies with the educators I am charged to support. For me, it is the quick and easy access to information and support (as in help) that having the certification or ambassadorship grants me that is the benefit of my efforts. Is the product/service something I use or would use in a classroom environment? Do I believe that the effective use of the product/service would improve or enhance the chances of student success? Is the cost of the program reasonable for implementation by the teachers, schools, or districts that might hear me discuss it? There are numerous studies that indicate that this product or that service show no positive difference in student performance. Research is important and should be a part of every decision, but I have also been in education long enough to know that there are different needs in different schools. Additionally, there are good teachers and bad teachers, hard-working teachers and “get through the day” teachers. This is why I mention that I have to believe that the effective use of the product could benefit students. Exclusivity is also a deal breaker. I serve over one thousand schools and not all of them use the same systems. To serve them effectively, I have earned certifications from Google, Microsoft and Apple. I promote numerous products that would consider themselves as competitors. I have to help the teachers I serve find the best solution for their particular situation. If the New York Times thinks that a free T-shirt, a couple of stickers and a coffee mug would influence me enough to alter my thinking then they need to reconsider the idea of press credentials as well. I don’t see sports reporters giving the losing coach a break just because they get to go to the game for free; why would they expect teachers to behave differently? 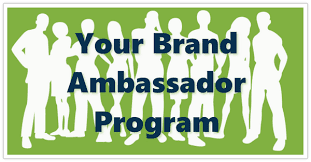 Now is a good time to discuss exactly what my experience has shown me I can “get” for being an ambassador. I could, right now with a phone call or email, get a couple of T-shirts and packs of stickers to give away if I was hosting a training. Do the NYT reporters think that will make me present on product A over product B? That is very short-sighted. I know you have been waiting for me to share what it was that the New York Times missed in the article so here it is- Teachers aren’t in it for the money! Every teacher I know spends hundreds and hundreds of dollars out of their own pockets to make up for the shortfalls of declining budgets and underprivileged kids. Many of those free T-shirts end up in the school counselors office for the kids that comes to school underdressed because of family situations out of the school’s control. Those free pencils and pens? Teachers slip them quietly to the kid that comes to school each day in part to get out of the homeless shelter they live in. Those rare instances when a teacher earns a piece of equipment or free software- it doesn’t go to them, it goes to the school. And the gift card I received? It was redeemed within an hour. . . to buy a book on how to teach coding to every kid in every classroom. Thanks for the respect, New York Times, teachers across the country appreciate it. Fake news is not new. This article from Politico documents the story of a missing child that was reportedly murdered by members of religious community who then drank the child’s blood as part of a Passover celebration. The story spread through the sermons of a Franciscan Monk and eventually led to the arrest, torture and execution of fifteen innocent people. It happened in 1475. But somehow, the fake news roller coaster has hit a new high in this era of social media gluttony. Inevitable, perhaps, but an area of concern nonetheless. More and more people get their news from social media which has created a target rich environment for those that what to spread disinformation in order to further their cause. Buzzfeed reported that a false story that reported Pope Francis was to endorse Donald Trump for president during the 2016 election received almost one million shares, reactions and comments. The story was false, but it quickly spread through social media. So how can educators play a role in the fight against fake news? Let’s start in the classroom. English Language Arts teachers spend a significant portion of class time teaching students how to identify various literary devices. This easily translates into the discovery of fake news. For example, hyperbole is an effective literary technique that can be used to create a visual picture for a reader. It was so cold that each word from his mouth froze in mid air and fell to the ground. Teaching the proper use of literary devices, including showing how they can be misused, could have a significant effect on helping students identify fake news. But there are many other techniques that can be used. Take a look at this video from Common Sense Media Education. Common Sense Media offers several great resources on how to detect fake news including this video that includes four sites kids can use to “Fact check” what they read online and this creative poster that helps students determine the legitimacy of the site they are viewing. Older students will benefit from this resource from Ithaca College’s Project Look Sharp. It includes questions for teens to ask both when evaluating sites and well questions to ask when creating media messages. Teachers have a responsibility to provide students with the skills necessary to identify content of questionable validity. This has been true for years, although when my generation was in school, this was normally related to detecting bias and exaggeration in advertising. This is still common, but today’s students need more. Today, we need to give them a set of skills that serve as a “fake news” detector that is in some ways just as important to their digital citizenship as knowledge of the Bills of Rights is to their physical citizenship. 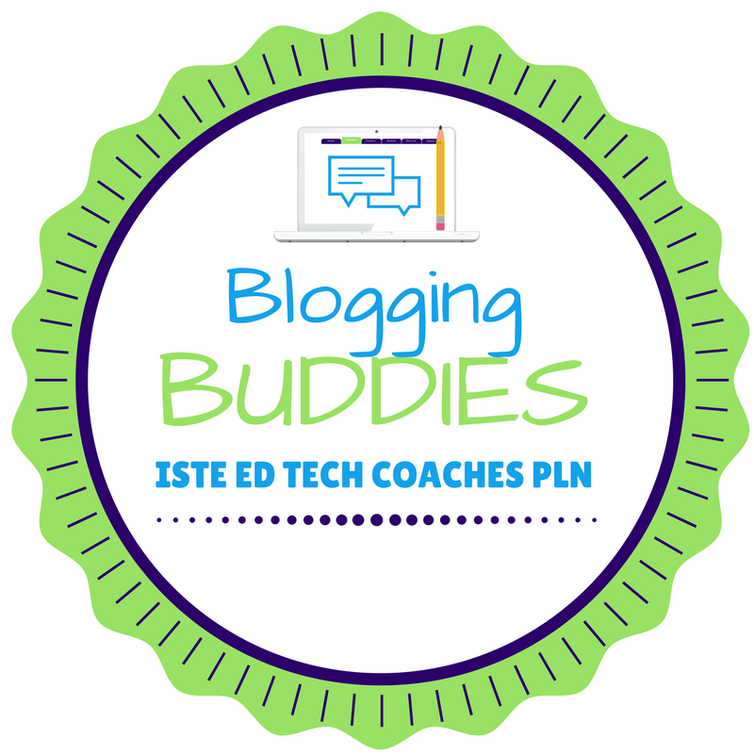 I am happy to share that I have joined up with the ISTE Ed Tech Coaches Network Blogging Buddies project to encourage blogging related to Ed Tech and to share a few blogs that I think you will benefit from reading. Here are the blogs in my blogging buddies group, please take a look at them! Daisy Dee’s Tech Stuff– This blog is hosted by two classroom teachers that have decided to share some great tech tips with the world. Nicole Carter’s Musings page is a wealth of useful information. Nicole is a Teacher on Special Assignment Innovation Strategist (what a great title!) and is a PBS Digital Innovator (2015). Her current series on Sketchnoting already has me pulled in especially since that is something I really wish I had the talent to do effectively. Investing to Learn is the blog of Lori Dickerson, the Director of Curriculum, Instruction, and Assessment for Muncie City Schools (Indiana). Her blog is just getting started but her background leads me to believe that it will be a very interesting collection of posts. What Lori doesn’t know is that I was born and raised about 30 miles down the road in Anderson, IN. That means I have a certain level of expectations from my fellow Hoosier blogger. Noa Lahav’s blog on Medium has already intrigued me. Several great, quick reads on her use of various EdTech Tools and a wonderful series on Paying for EdTech. I have seen Noa on Twitter in several EdTech chats that I follow and cannot wait to follow her work even more closely. Over lunch today, I was pulling together a few resources related to data governance for a different project and was digging through the great resources provided by Common Sense Media Education (on Twitter @CommonSenseEd). As I search for my original target, I came across this video on ways to get kids coding. Take a look. . . While the three tips included are things I had heard, and shared before I still found myself pulled into this quick little video. I have been working on a broader project working to integrate computational thinking and computer science into the work of our (primarily) Math and Science efforts. This has resulted in me taking long looks at several coding apps, robotics programs, and other computational thinking related resources. By far, my current favorite is Tynker. The app is extremely well done on iOS and the web resources are incredibly rich. We are, however, still in the midst of a funding quagmire. The Tynker app on iOS is free (the school version incomes with a $6 price tag). The training options on the website, the curriculum itself, is outstanding and comes with a pricing model designed for whole school adoption. Yes, they have “classroom” plan, but that seems to fit a program that has the same 30 students under one teacher for a whole semester (12 lessons with 62 activities falls a bit short of the traditional 90 class days of a semester). But for many teachers, schools, districts, and in my case, programs, do not work that way. If I am an innovative 5th-grade science teacher and I want to integrate computer science, and coding, into my course, I may have 60-80 students (if students rotate teachers). I may not need 60+ activities because I may not have the time available or I may elect to use some of the great resources from Code.org to supplement as well. Before I go any further, this is not a criticism of Tynker. In fact, they have a great 6 lesson course that would fit perfectly into the scenario that I described and it is offered free. But it is one course. Now it is up to me to piece together Tynker, Code.org, and other resources to build my own curriculum. This is not necessarily a bad thing, but it is more work for the teacher. Especially when you look at the management of these varied resources. Well, until those developers contact me directly for my thoughts, here is a Participate Learning collection of my favorite coding resources. 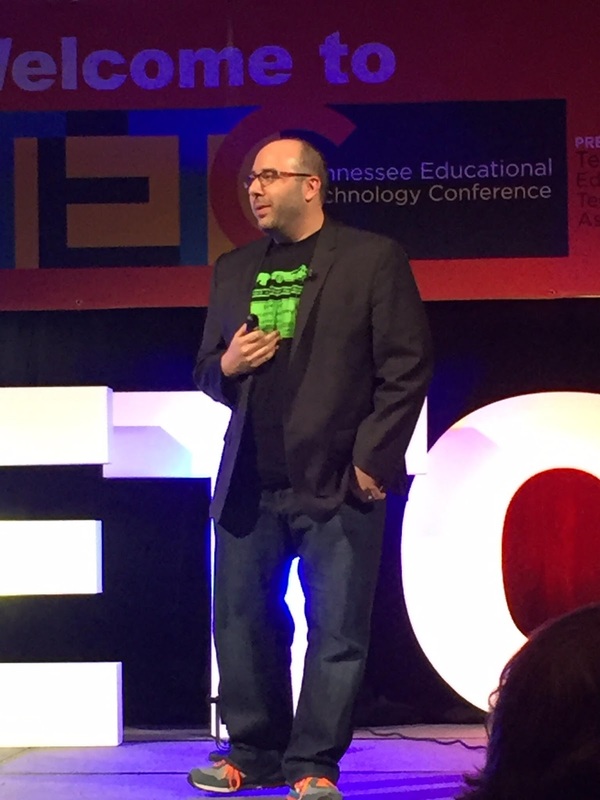 If you follow my blog or follow me on Twitter (@bigtechcoach in case you don’t! ), or if you have ever attended one of my presentations then you likely have heard me wax poetic about Symbaloo. The visual bookmarking platform saved my life after Google killed iGoogle! Seriously, my Symbaloo webmix jumped in front of a speeding bus and Saved. My. Life! Ok, Ok, maybe that is a stretch, but I truly don’t know what I would do without Symbaloo. My home webmix is as large as the platform allows. Just take a look! I estimate that 80% of the sites I visit on any given day are just one click away because I have them on this wonderfully crowded webmix. I love Symbaloo so much and was using it so frequently to create organized collections of links for the classes I teach and the presentations I share that I decided to take part in the Symbaloo Certified Teacher program and eventually became a Symbaloo PD Pro. When I completed the Certified Teacher program I had to pony up ten bucks for the privilege. I didn’t mind, however, because certified teachers gain access to exclusive opportunities like free swag to give out at your presentations. They still require that small administrative cost. Except when very cool sponsors step up. I received an email today from the team over at Spiral. Apparently, Spiral and Symbaloo have formed a partnership (read about it here) and to celebrate, the folks at Spiral are going to cover the cost of Symbaloo Certification for you! Click on the link “HAVE A PROMO CODE? CLICK HERE” and enter the code SPIRAL17SYM to waive the admin costs. Complete your SymbalooEDU Basic Certification using the Symbaloo Lesson Plan that they provide. (Hey we said it was ‘free’ not easy). Give us a tweet at @SpiralEducation and @SymbalooEdu to show off that you’re certified! So, head on over and take advantage of this opportunity. And if you do, Tweet me with the cool badge you will earn. Want to improve your practice? Observe yourself! It is often said that the first step in recovery is admitting that you have a problem. For educators, this could be expanded to say that the first step towards improving your practice may be identifying the problems in your current practice. Teachers and technology coaches that are truly interested in improving their practice may be overlooking some of the most practical ways to get started. You cannot fix what you do not know is broken. Yoda- The teacher that needs no evaluation! 1. 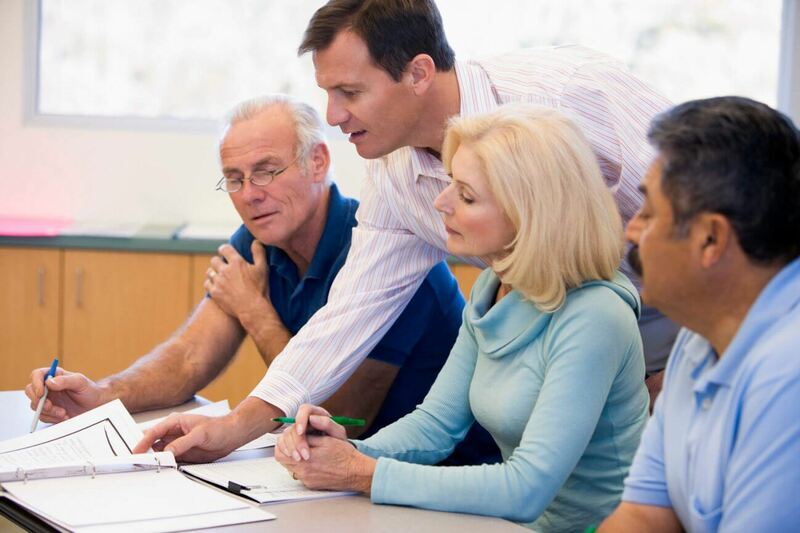 Actively participate in the mandated teacher evaluation system. Teachers get evaluated, that is nothing new. The systems used to evaluate teachers vary from state to state, even district to district. The importance that administrators place on these systems also varies. It may be simply a task that they have to complete and could, therefore, be of little value to teachers. But if you have an experienced administrator that truly sees teacher evaluation as a mechanism for teacher improvement, pay attention to their comments and suggestions! 2. Take a look, hard look at your own practice. When was the last time you took your own test or completed the same assignment? Do you have quirks in the way you create assignments that could be improved? Are your instructions clear? Are your examples and test questions free of bias? But self-evaluation does not end with the products you create. It also includes taking a good look at yourself in the mirror. Well, the modern equivalent of a mirror. Technology has improved to the point that recording yourself in the classroom is so easy that arguing against its use is futile. I did this myself during a professional development session just a couple of weeks ago. I set up my iPad mini along with my Swivl C- Series C1, my own personal robot videographer! I recorded the entire session and then, a few days later, I watched the recording. I looked for any tics, overly repetitive phrases, and my general interactions with my audience. (I actually used a portion of this recording in my PBS Digital Innovator application; you can see a portion here.) Remember, few people like to see themselves on video. Just get past that and evaluate your practice objectively. Are you providing wait time? Do you call on boys more frequently than girls? Or particular students? Never underestimate the power of having a close friend sit in on your class and then have a frank and honest discussion with them. What did I do well? What could I improve? What might you do differently? Want more tips on teacher self-assessment? Check out this page of resources from Scholastic.